Japhy’s doesn’t stop at making delicious, healthy food—we also do our best to be gentle to the Earth. 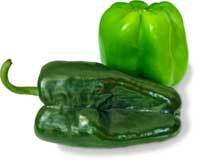 Whenever possible, we use organic and locally-produced ingredients in our dishes. Whether it’s organic lettuce from G-Farm just over the hills, fresh-baked bread from Brio across town, or tofu from the Tofu Shop, our ingredients don’t waste fuel getting to your plate and are gentle on the environment. When fresh produce isn’t in season in Humboldt County, we turn to Veritable Vegetable, a responsible San Francisco-based supplier of organic produce. Sometimes you want to grab some soup to go, but that doesn’t mean you need to toss a container in the garbage when you’re done—go ahead and bring your own bowl! (Or whatever reusable container you prefer to carry your soup in.) We’ll fill it up, the soup will fill you up, and nothing will fill up a landfill. 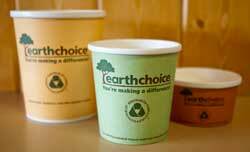 If you’re grabbing some soup to go and it isn’t convenient to bring your own container, we’ll give you an EarthChoice container. It may look like any other tossable paper cup, but the lining is made from plants instead of oil, so it’s completely biodegradable (go ahead and compost it!) and made from 100% renewable resources. Running a restaurant generates a lot of waste, so we do our best to make sure it doesn’t end up in a landfill. We recycle everything we can, and we compost all those bits and pieces of vegetables that don’t end up on your plate.